You often travel with your friends, family or even with strangers in a group to enjoy your vacations and trips, but travelling solo has its own charm and beauty. Solo travelling helps us to learn new things, meeting new people, overcome our fears, exploring new places and it gives freedom to do whatever you want to do without thinking so much. If you are thinking to go on your first Solo trip then what the best option can be instead of India. Either you are an Indian or from abroad, with its cloud top hill stations, mesmerizing beaches, unended deserts, numerous world heritage sites, pilgrim destinations and rich wildlife sanctuaries, India is the heaven for every solo traveller. Here in this post, we are telling you the 11 best places to visit for first-time solo travellers in India. Let’s pack your backpack, tighten the shoeless and be on the road for your first Solo trip in India. Roaming around Puducherry or Pondicherry streets will give you a feeling of being in France. If you are bored of seeing sunset pictures on western bay beaches then its time to head Puducherry and catch the mesmerising sunrise. Pondicherry is a perfect place for solo travellers in India as it gives you a bundle of Fun, History and French culture. Hire a Bicycle or walk on feet and explore the beauty of colonial-era architecture, mesmerising beach, enriching French food and don’t forget to bottle down some bears. How To Reach Puducherry: Nearby Airport and Railway Station in Chennai. Go on a Road trip from Chennai to Pondicherry. Himachali village Kasol is the heaven on earth for Backpackers and solo travellers in India. You breathe, eat and live the freedom and wander-ness when you come on a solo trip to Kasol. Beautiful mountains, heartwarming Parvati River, groups of Israeli wanderers and mouth-watering Israeli food make Kasol a cult paradise of Solo travelling. How to reach Kasol: Nearest Airport is Kullu-Manali Airport (Known as Bhuntar Airport) which is 31km away from Kasol Village. The nearest Railway station is Joginder Nagar railway station, which is about 144 km away from Kasol. Travelling alone is the best way to discover the inner self and that’s why the Varanasi is considered one of the best places to visit for first-time solo travellers in India. Varanasi is situated on the banks of Holy river Ganga and called the spiritual capital of India. Wander on the mystic streets of Varanasi, grab some knowledge from Sadhus, chill on numerous Ghats, pray in temples and take bath in Holy river Ganga, it all will help you to find the core of your existence. How To reach: Varanasi has its own Airport, Railway station and Bus Station, which are well connected from all major cities of India. Jaisalmer is the desert city of Rajasthan and famous for its golden coloured Havelis, Palaces and the big one Jaisalmer Fort (Sonar Quilla). 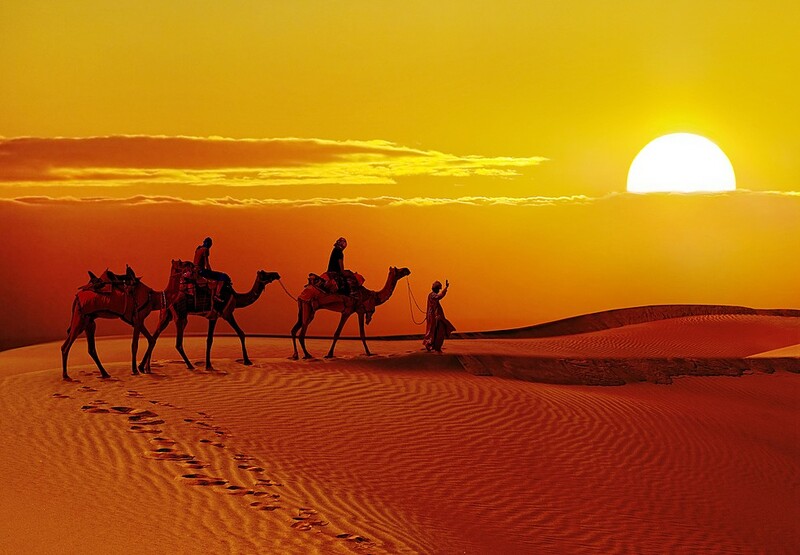 There are a number of option to explore for solo travellers in Jaisalmer. You can explore the glorious history and rich culture by visiting Jaisalmer Fort, Royal Havelis, Jain temples and other medieval era sites. Sam sand dunes are the main reason which makes Jaisalmer a perfect place for solo travellers to visit in India. Go book a desert stay in Sam sand dunes, lay down on unended golden sand, look into the sky and try to discover the reason for being in this world. How To Reach Jaisalmer: Nearest domestic Airport is Jodhpur Airport which is about to 5-6 hour drive from Jaisalmer. Jaisalmer is well connected by Trains to other major Indian Cities. Dharamshala is the home of Tibetan holy guru Dalai Lama and also has the largest Tibetan community living in India. Dharmashala is the best place to visit for solo travellers in India as it gives you mix feeling of a hill station, a spiritual place and also an adventure destination. You can experience the warm hospitality of Tibetan people and can also learn the mantra of inner peace. Dharamshala gives limitless opportunities for adventures like trekking, hiking, camping and paragliding. How to reach Dharmashala: Gaggal Airport is just 13 Km away from the city and nearest Railway station is Pathankot, about 85 Km away. Go by Road to see the best of mountains and greenery. Best time to Visit: March to November, You can also go from December-Feb. to experience the freezing winters and snowfall. Rishikesh and Haridwar both cities are situated within the holy river Ganga and Pilgrims from across the world come here to rejuvenate themselves. If you are thinking to experience some taste of Yoga and Meditation on your solo trip then these alongside cities are the perfect place for your trip. 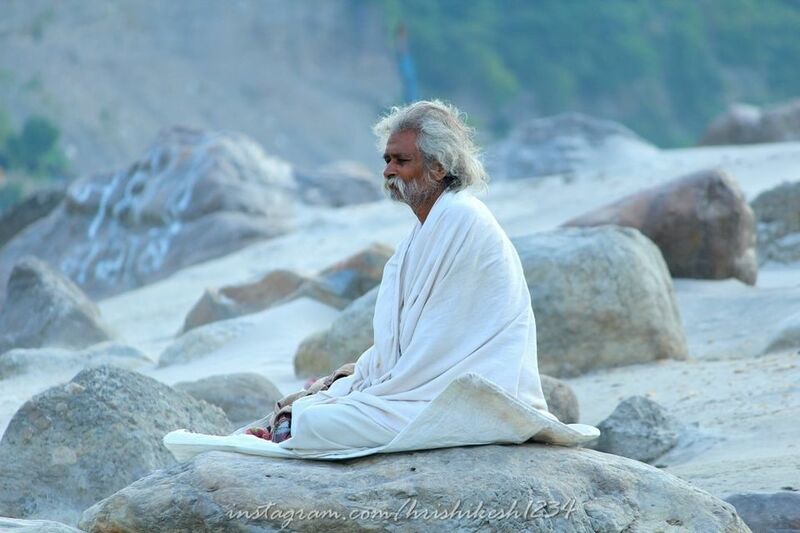 Rishikesh and Haridwar both are the perfect mixtures of spirituality and adventure. While Rishikesh gives you more opportunity to adventure, Haridwar is a divine place. Numerous temples, Meditation camps, Yoga centres help you to discover your true meaning and for adventurers River rafting, Bungee jumping, camping, fox flying and many other activities are there. How To Reach Rishikesh & Haridwar: Dehradun is the nearest available Airport, Haridwar has Railway connectivity. Both places have frequent buses from Delhi. Best Time to Visit: September – March. Auli is a beautiful hill station of mighty Uttrakhand and known as the best skiing destination in India. Breathtaking valley, pleasant environment, snow-covered hilltops make Auli the best place to visit for every solo traveller across the world. Auli is a perfect place for both leisure travellers and adventure seekers. Nanda Devi Trek is the most famous trek in Auli, besides it, Auli gives you numerous opportunity for trekking, hiking, skiing and other adventures activities. How To Reach Auli: Nearest Airport is Dehradun and closest Railway station is Haridwar. Best way to experience beautiful picturesque peaks surrounding Auli is going by road. Best Time to Visit: April to October for Trekking and October-March for Skiing. Tawang Monastery is known to be India’s biggest Monastery. Tawang Monastery is located in Arunachal Pradesh, surrounded by picturesque hilltops, lakes and river streams. Tawang is very popular among solo travellers, adventure seekers and backpackers from all across the world. Tawang Monastery provides countless opportunities for hiking, trekking and camping in the mid of snow covered mountains. If you want to explore a new culture, and want to meet Monpa people then Tawang Monastery is the best place for your First Solo trip in India. Best Time to Visit Tawang Monastery: March to October. Dhanushkodi is considered as the last point of India in the south. After getting destroyed in 1964 Tsunami, now nobody lives in this town. If your love to take mesmerizing photos, this abandoned town gives you limitless opportunities for it. Dhanushkodi is a perfect place to lose in the loneliness and to discover your inner soul while chilling on less crowded beaches. 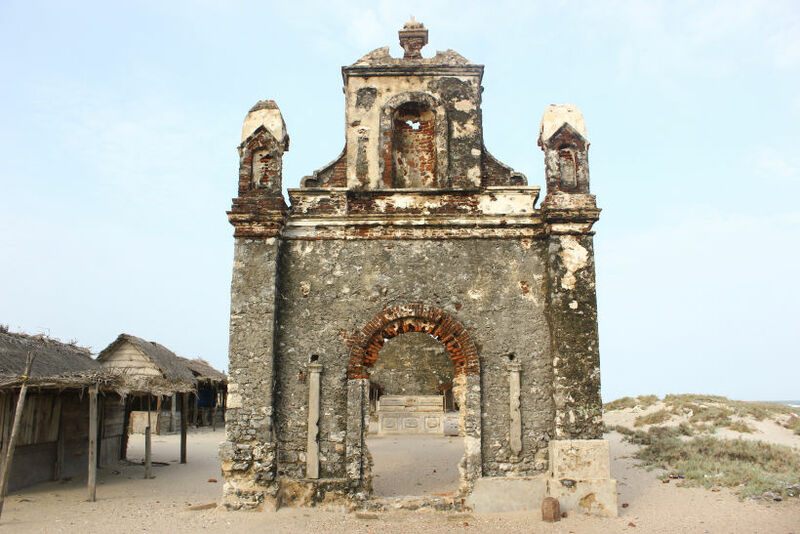 Dhanushkodi is getting popular in recent years among backpackers and solo travellers, which makes it one of the best places to visit for First time Solo travellers in India. How To Reach: Flight is not a good option to reach Dhanushkodi as nearest Airport is Madurai approx 200 Km from there. First, reach Rameshwaram by Train and then get a cab or tuk-tuk to Dhanuskodi which is just 18Km away from Rameshwaram. Best Time to Visit: October to February. Summers are very hot. Your travelling in India never can be completed without going on a Road trip to Leh-Ladakh. Ladakh is the third region of India’s Jammu-Kashmir state and Leh is a state in Ladakh region. Area of Leh-Ladakh is said to be heaven on earth due to its magnificent landscapes, mighty roads, amazing people and true modest culture. Riding a bike on Ladakh’s mightiest roads is a lifetime dream for every backpacker and solo traveller. This snow desert of India has mystic energy in its everything including people, sceneries, snow-capped peaks, geography, culture and lifestyle. Buddhist Culture, Food, hospitality and its larger than life geography makes Leh-Laddakh a must visit place for every first time or frequent solo traveller. Here you can experience Snowfall and the sunbath at the same time. How To Reach Leh-Ladakh: Leh city has its own Airport but going by Road is the best way to experience Leh-Ladakh. Best Time to Visit: May to June. Winters are freezy and roads can be blocked due to regular snowfall. Hami is Makkah of Solo travellers and backpackers, Hampi is one of a most travelled UNESCO World Heritage site in the world. This World Heritage site is the strongest signature of glorious past of ruined Vijaynagar empire. This place has more than 400 historical monuments, temples and other sites to visit. Every single object of this village has a story of the past to explore. Hampi is situated in mid of gorgeous hills and Tungabhadra river. Wandering across streets, local markets, meeting with strangers, observing unique culture, walking through historical monuments and seeing a beautiful sunset while sitting on banks of Tungabhadra river are some activities to do in Hampi. How to reach Hampi: Nearest Railway station is Hospet, just 10KM away from Hampi. Nearest Airport is in Hubli, which is approx 160KM away. Best Time to Visit Hampi: September to February. We have tried to choose the best places to visit in India for your first Solo trip, you can tell us in comments that which place you are choosing to go your solo trip. If you have a travel story to tell the world then you can share it with us and can get a chance to win some exciting gift packs.